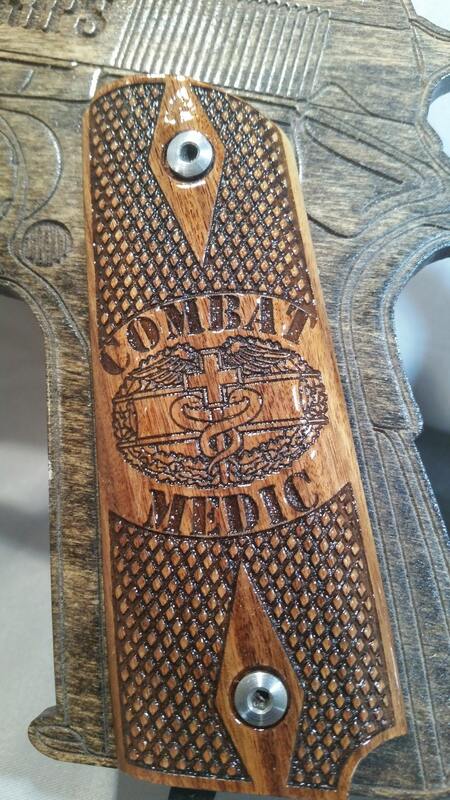 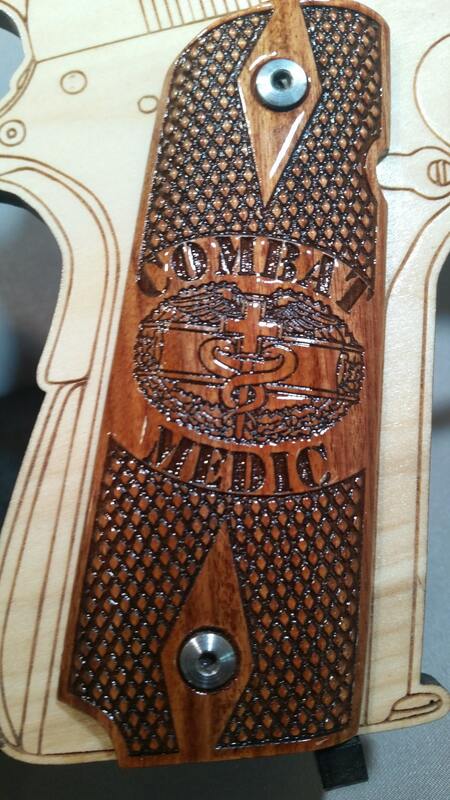 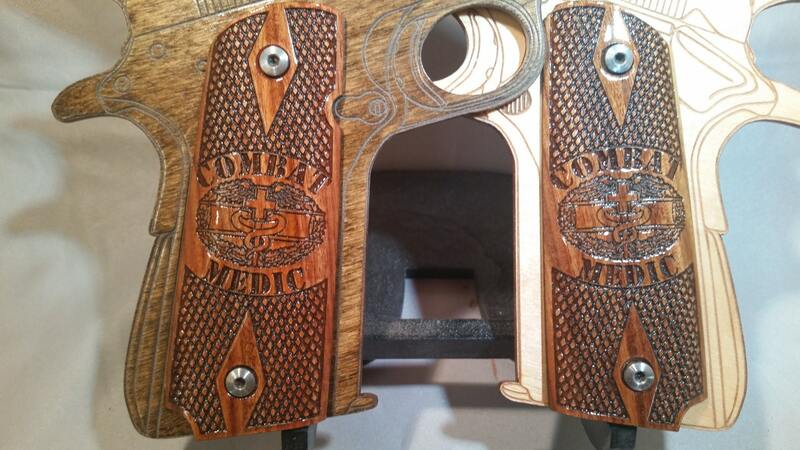 These grips have the COMBAT MEDIC logo surrounded with the text "COMBAT MEDIC" with stylized checkering on the top and bottom and traditional Diamond screw reliefs. 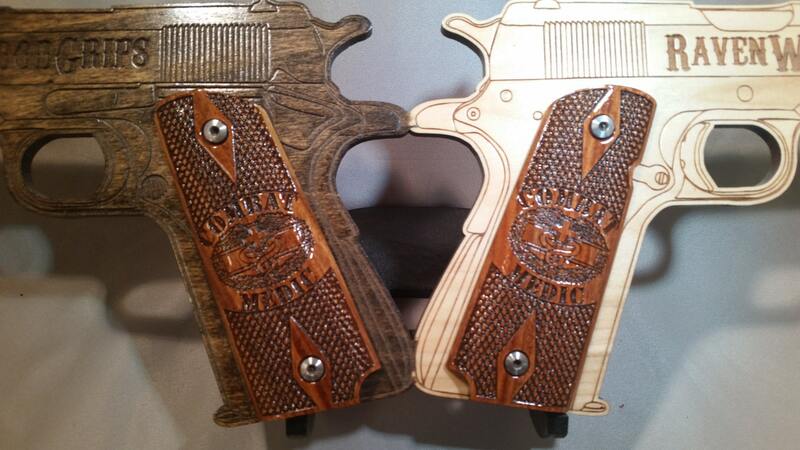 The ones in the pictures are made from Walnut. 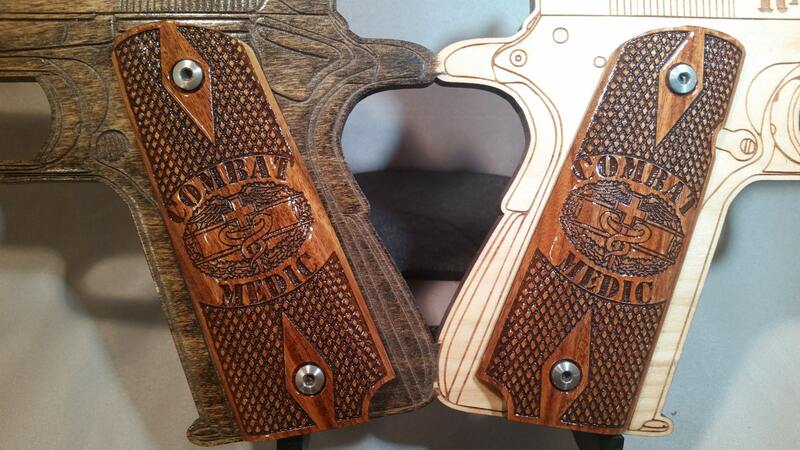 These are custom shaped, hand sanded to a glassy smooth shine, and completed by applying 5 coats of lacquer for a long lasting and super durable finish.